Once you have reached 71 Leicester Street, close your eyes and spin in a circle 10 times. 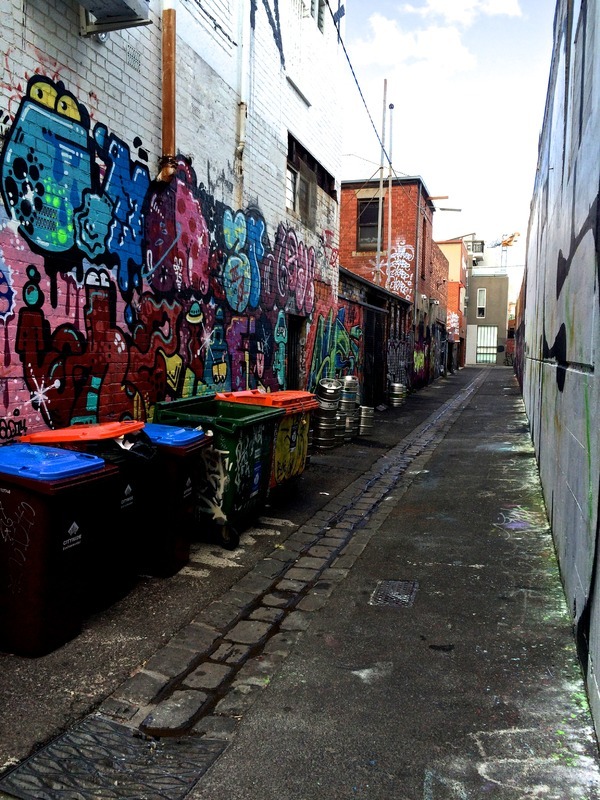 As you open your eyes, walk down the alleyway you are facing towards. What do you see? Little stickers clustered together on a windowsill? Huge blow-ups of figures and faces, or a confusing spangle of letters on the wall? As you walk down the alley, look around you. Take a moment to notice the little things you wouldn’t, and you will realize that street art adds a personal touch to the usually bare walls around you. The wall that was once just holding up a garage now has a history on it in the form of street art, one that you’re going to discover through this tour. “Stop 1,” Street Art deTours, accessed April 20, 2019, http://streetartdetours.com/document/1079.